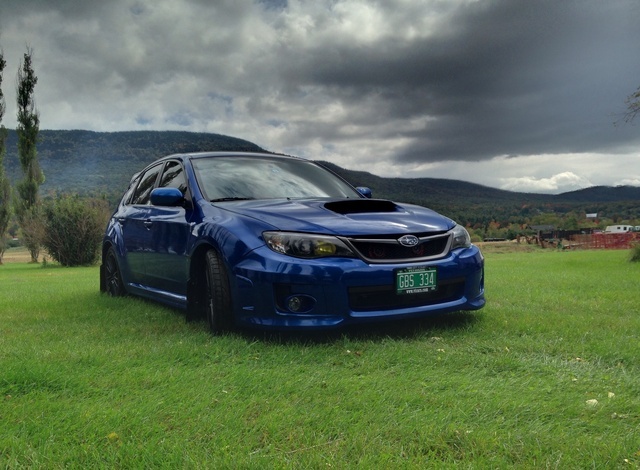 Looking for a Used Impreza WRX in your area? 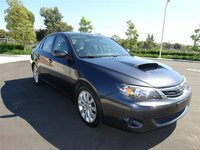 CarGurus has 1,017 nationwide Impreza WRX listings starting at $3,995. It’s never easy coming to the end of an era, especially one that should’ve ended already. With the WRX, everyone expected to see a new version by now. The Impreza upon which it’s based has been updated, addressing continued complaints about a dated interior and lagging fuel economy. With everyone else improving mileage with every passing year, it’s easy to be left behind. And the WRX isn’t used to being left behind, except perhaps by the STi. When the WRX first burst forth, it wasn’t faced with much competition. Now everyone is bringing something to the line that can compete in comfort, convenience, efficiency or electronics, if not all-out performance. And that spells doom. Ford has more features, and Volkwagen has more vavavoom. What Subaru has is a car that’s simply a few years behind. That means too many hard plastics inside and a frustratingly complicated—and optional—navigation system. Add to that a mileage estimate of only 19 mpg city/25 highway, and people aren’t impressed, especially when taking into account the 2.5-liter engine’s power ratings of 265 hp and 244 lb-ft of torque. By way of comparison, the Mustang’s V6 will get you 300+ hp and more than 30 highway mpg. But you can’t get a Mustang as a sedan or a 5-door hatchback, either. You also won’t get a fully independent suspension coupled with symmetrical AWD and a viscous coupling, locking center differential for legitimate 50:50 power distribution. Even better, this generation WRX steals the springs, wheels and roll bars from the STi. It also comes, even in Base trim, with standards like auto climate control, sport seats, 17-inch alloys, Bluetooth and a 6-speaker CD stereo with USB and Aux inputs. Moving up to the Premium, you’ll get heated seats and mirrors, foglights, electroluminescent gauges and a sunroof. The Limited will get you leather and xenon headlights. There’s also an optional navigation system, but honestly you don’t want it. If you really want to be special, but don’t want to move up to the STi realm, Subaru is offering 200 “Special Edition” trims, decked out in orange paint and stitching, black wheels and stripes, and a dark interior borrowed from the STi. If you’re scared of where the WRX may be headed, this is where you’ll want to be, but with only 200 available, you’re going to have to be sly. It’s a legitimate concern, given how small adjustments have changed the WRX over the years. Subaru claims it’ll come back lighter and more powerful. With luck it’ll retain the character and the manual transmission while ditching some of the outdated tech and hard plastic. Too much attention on performance and efficiency can lead manufacturers to forget that a car is supposed to be complete package. At least the package includes safety, with dual front, front-side and side-curtain airbags, 4-wheel antilock discs, stability and traction control and even hill-hold assist. This results in a 4-out-of-5-star overall rating from the National Highway Traffic and Safety Administration and top marks from the Insurance Institute for Highway Safety. Look to the new WRX to get the full 5 stars, but for now, look to some real-world numbers: This gen of the WRX will drop to 0 from 100 mph in just over 100 feet. Very impressive. At this point, the WRX has achieved cult status that allows preference to derive from the intangible. There will always be those that prefer one gen over another for one reason or another, but you can be assured the new version will be more, more, more. Hopefully it’s not too much more, as the WRX has been a favorite of more than just your average boy racer. Family-minded individuals who are in need of a sedan or hatchback but don’t feel the need to fully give up on the fun have always been an important demographic as well. This is why attention is needed to interior materials and efficiency, but go too heavy on the performance, and you’ll alienate this half your demographic. Suspensions need to work well on the street, not just the track. 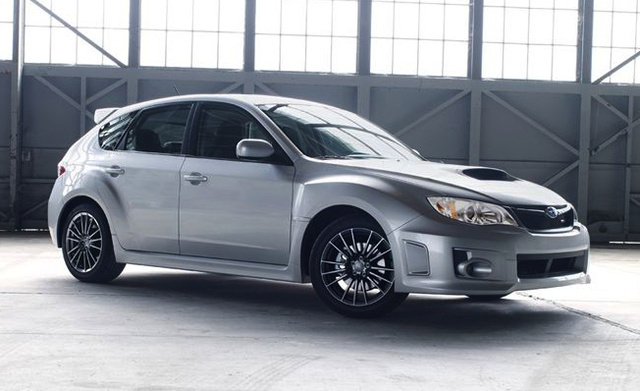 What's your take on the 2014 Subaru Impreza WRX? Have you driven a 2014 Subaru Impreza WRX? 2017 WRX UNDER 6000 MILES making a knocking sound when in first gear goes away as speed increases. WHY? Hello, Does anyone one know if I can install the stock/basic stereo of '14 WRX into a 2003 outback?